It’s Orthodox Easter today – Christ is Risen! Celebrating the resurrection of Jesus Christ, it’s the most significant Christian Holiday. It has such a positive feeling, that people are drawn to churches on this day, even if they are not regular church goers. It’s a celebration of life and hope. 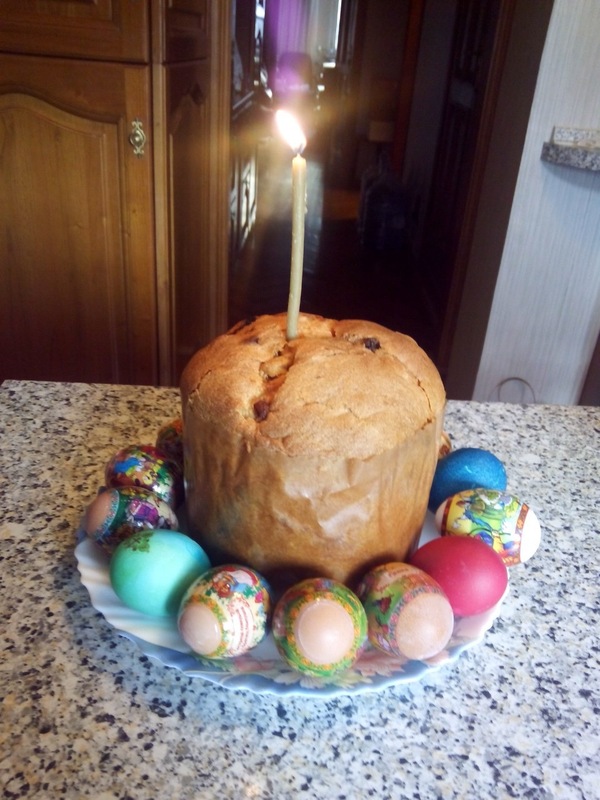 In Russian Orthodox traditions, special cakes are made for Easter, kulich and paskha, as well as painted eggs. Traditionally, the eggs were painted red, using onion shells, but nowadays you can see an array of various colours. These customary foods are brought to church to be sprinkled with holy water and then they are enjoyed as a part of the holiday feast. Friends and family give eggs to each other, kids play a game of who’s egg would break first, all warm and good natured fun. For other interesting Easter traditions, check out this post. Thanks for the look into your family’s holiday traditions :) great photos! I come from a Cypriot family, and we celebrated our Orthodox Easter this weekend too. We went to our local work Orthodox church for Good Friday, and our usual one for Midnight Mass on Saturday night. Then, we broke our red eggs on Sunday morning. A wonderful insight into another world. Thanks so much for inviting us in.